"the whole world, my family, and the American flag"
My Turkey Craftivity is available at my TpT Store. Your hat is too cute! I LOL! I love to see what students are thankful for. Too cute! OK that hat is too classic! Who wears a full turkey on their head?! Love it!!! You rock sista! OMG! You are so adorable!!!! I laughed out loud at your adorable picture! You are adorable!! 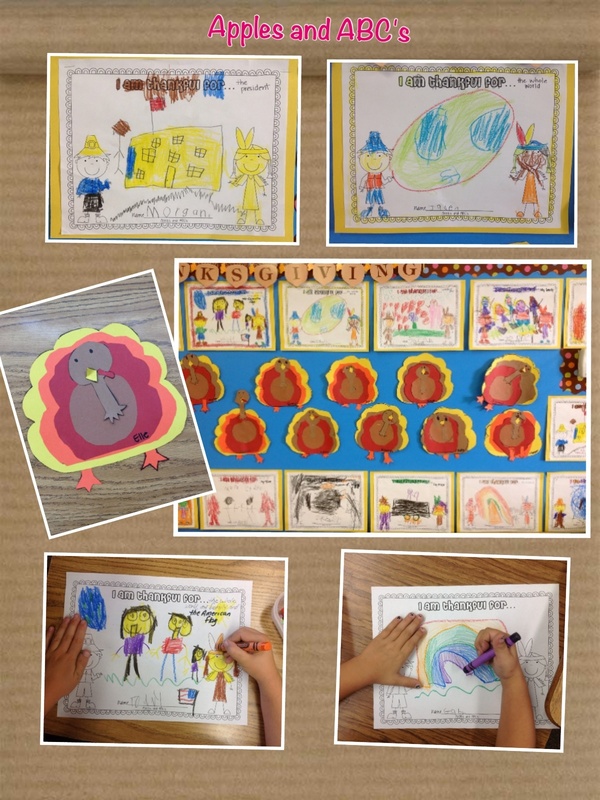 Growing Firsties...Coming Soon - Pete the Cat Giveaway! Your board looks great!!! I also have an aide and she is AMAZING! You are so cute! 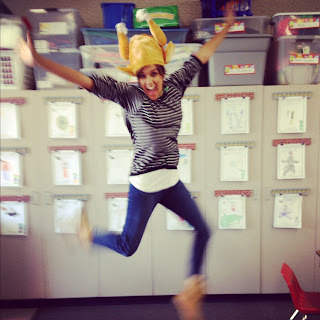 Love the picture and your fun turkey ideas!